Things are, in a word, complicated. 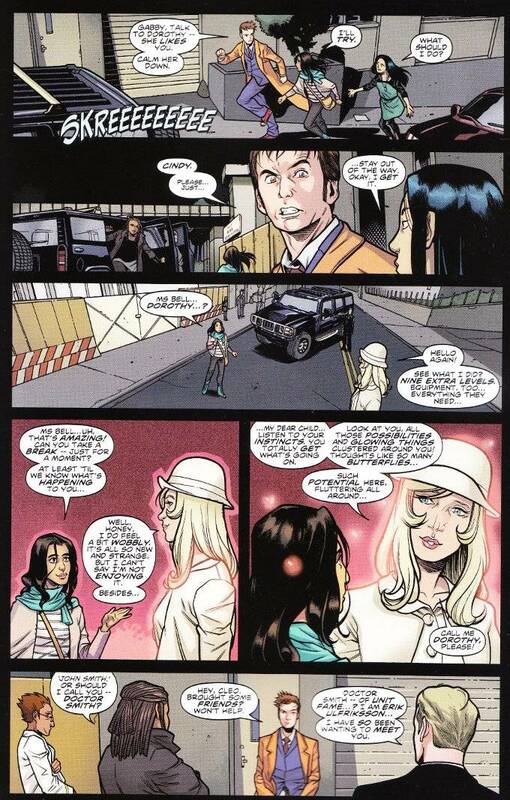 The good news is that Gabby Gonzales has finally convinced her best friend, Cindy Wu, that she wasn't lying about her adventures traveling time and space with the mysterious man known as The Doctor. The bad news is that Cindy wants to help, as the two young women are dragged into the latest crisis to threaten the Earth. Or, to be more accurate, crises. One can't accuse writer Nick Abadzis of thinking small. 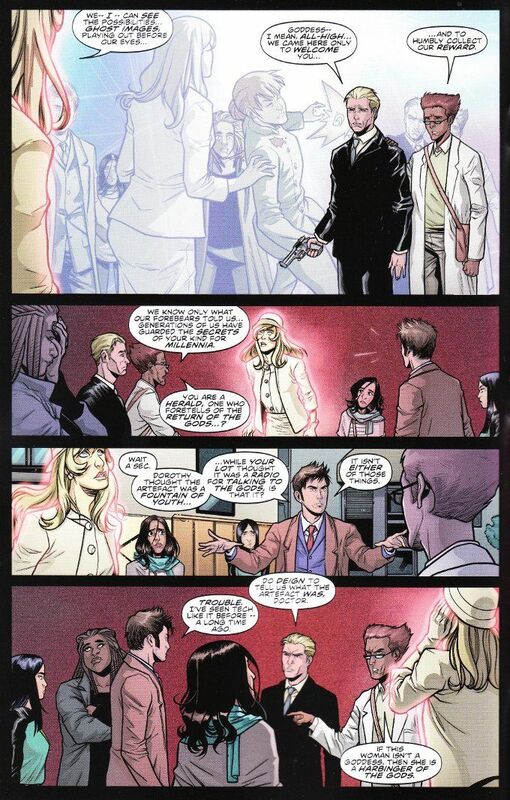 The various plots of this issue are intricate and incredibly complex. Thankfully, the action is easy enough to follow, though what precisely is occurring may require multiple readings to fully comprehend. The artwork does a good job of helping restore that sense of clarity. Elena Casagrande is an amazing artist, who manages to keep the action flowing smoothly despite many scenes involving crowds of talking heads. And the inks and colors by Simone Di Meo and Hi-Fi respectively enhance Casagrande's original pencils perfectly.